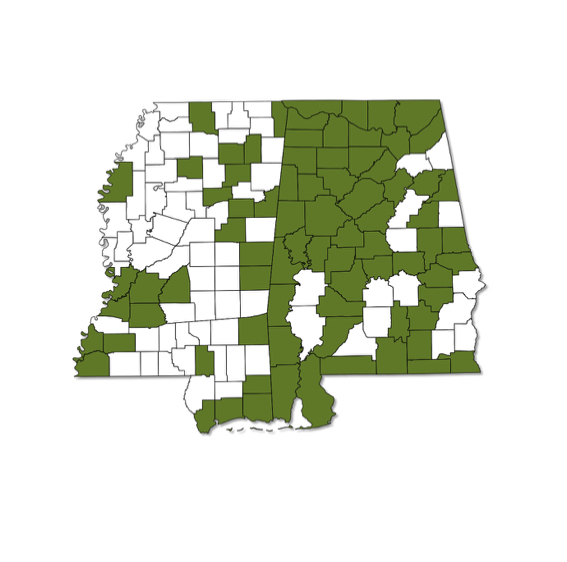 Very common and expected to occur throughout both Alabama and Mississippi. 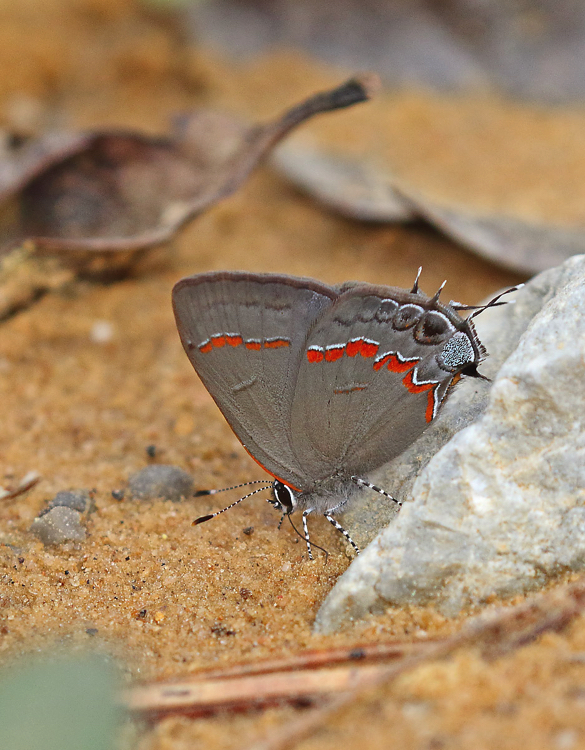 A small, grayish brown hairstreak with prominent red/orange band on the inward side of the white postmedian line. Blue spot on hindwing has little to no red cap. Dorsal surface black with some metallic blue.